Airbnb is trying to not see the law as a lethal weapon. The city's proposed rules to regulate short-term rentals passed through the licensing and standards committee unchanged, pending approval at city council. But there's a push to forbid people from Airbnbing basement apartments. Airbnb continues to promote itself as a citywide tourism booster and personal debt offsetter, while also trotting out celebrity spokesman Danny Glover. TVO’s The Agenda gets entrapped by Godwin’s Law. 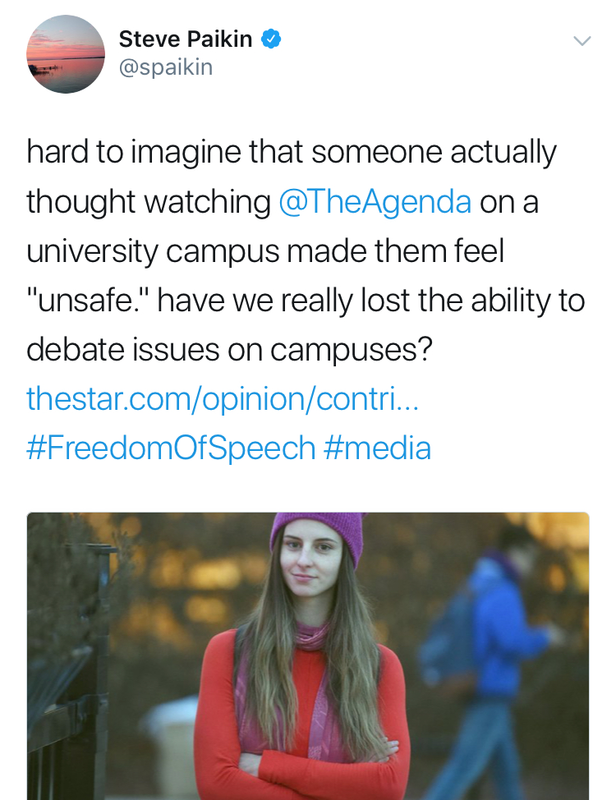 Steve Paikin can't believe that his show's debate on gender pronouns, featuring Jordan Peterson, was likened by Wilfrid Laurier University professors to uncritically presenting Adolf Hitler clips. The school has now engaged a third-party investigator to look into the clash, while Paikin received plenty of Twitter blowback for sticking up for how the show presented Peterson on camera. “There was no Harper war on drugs.” Days after Jordan Peterson called her the worst journalist ever, As It Happens host Carol Off grilled Julian Fantino over his new career in medical marijuana. Meanwhile, the aftermath of illegal dispensaries will hang over some heads for quite a while, based on Vice’s investigation into that shady world. 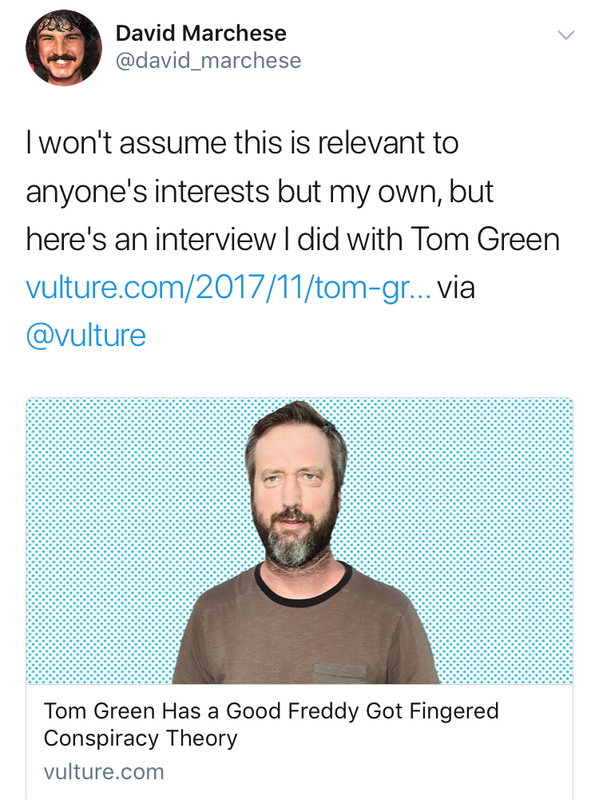 Tom Green probably belongs in the White House. 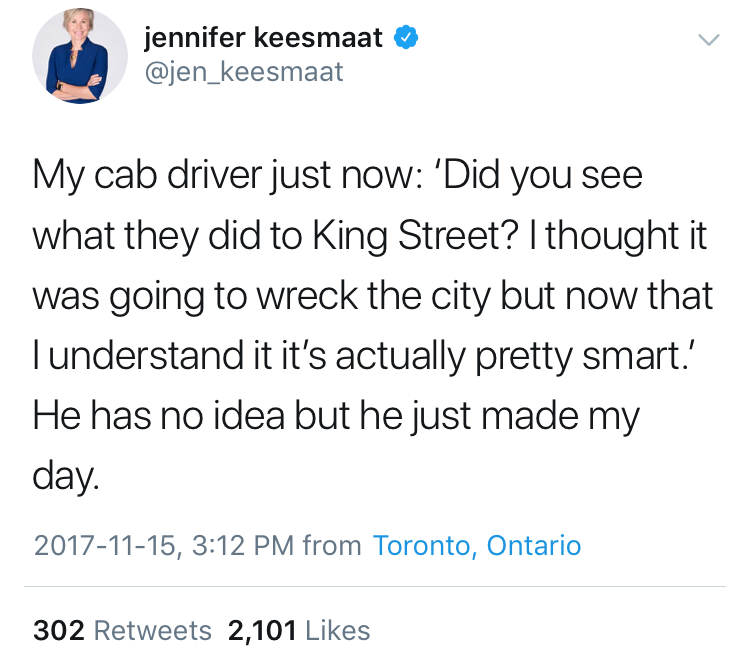 When we last considered Ottawa’s overgrown prankster, it was because of a thinkpiece on his part in the history of trolling. During the 2016 election, Green took a stance against Donald Trump. But now, while struggling to sell tickets to his Vegas show, he claims more empathy toward his former TV boss. The Devil at Your Heels inspires a podcast. 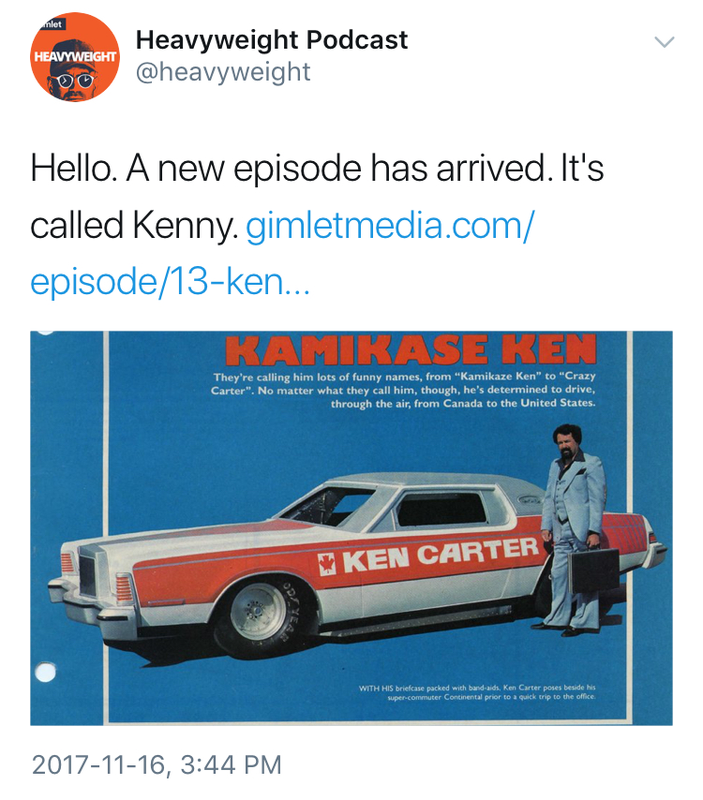 Jonathan Goldstein’s podcast Heavyweight, about people with a burden to unload, covers a relationship in which both parties are now dead: Ken Carter, the daredevil who sought to surpass Evel Knievel by jumping a rocket car over the mile-long St. Lawrence River, but was replaced by film producers at the last minute with another stuntman, Kenny Powers. This switch was chronicled in a 1981 NFB documentary. At the time, there was an assumption that Carter resented Powers for this—Goldstein discovers how fond one was of the other. Beyond Yacht Rock has no patience for sailing north. The podcast spin-off of the web comedy series dedicates an episode to “Canadian Classics,” which promises a proper consideration of Cancon lugubriousness from the easy listening radio era. But the hosts quicky tire of this idea and just start reviewing mostly atrocious hockey songs instead. The name of a GoFundMe campaign to raise $1,949 for Stouffville mayor Justin Altmann, so he can pay back taxpayers for his weird personal neck wreath.